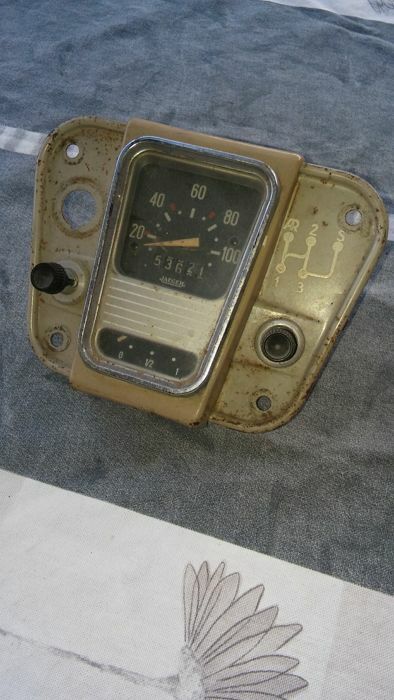 Vintage Jaeger dashboard 2 CV with wiring diagram Speedometer up to 100 km/h. Also present are 2 buttons. 1 for parking light and 1 for lighting. 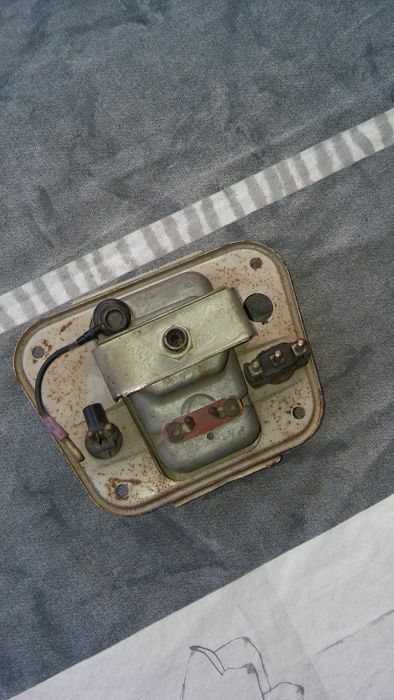 Also visible is a fuel gauge. 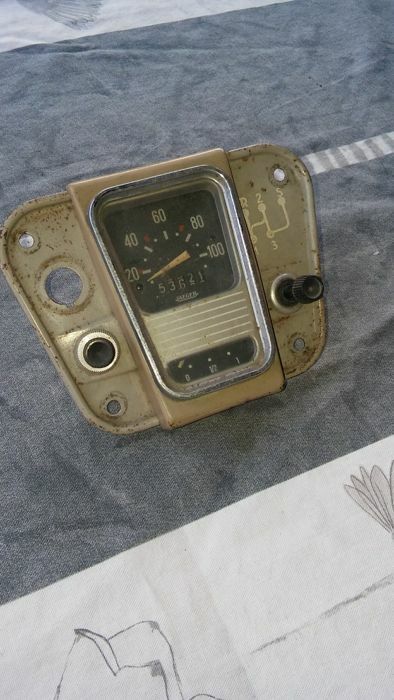 Old dashboard for 2 CV, nowadays a rare item.